The McDonald's English Pub Burger is the latest test item in the fast food giant's arsenal. 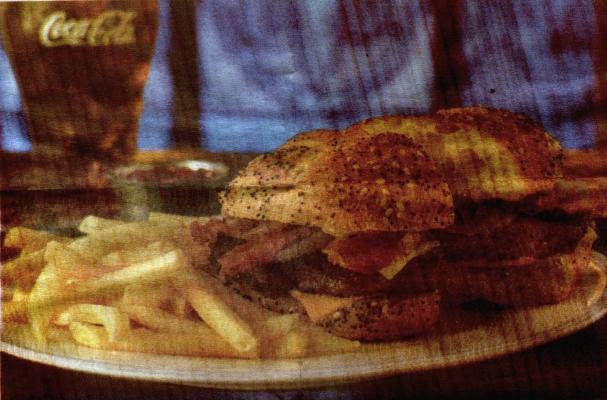 BurgerBusiness reports that the burger features an Angus beef patty, hickory-smoked bacon, American and cheddar cheese, Dijon mustard sauce, steak sauce, grilled onions and an artisan roll. 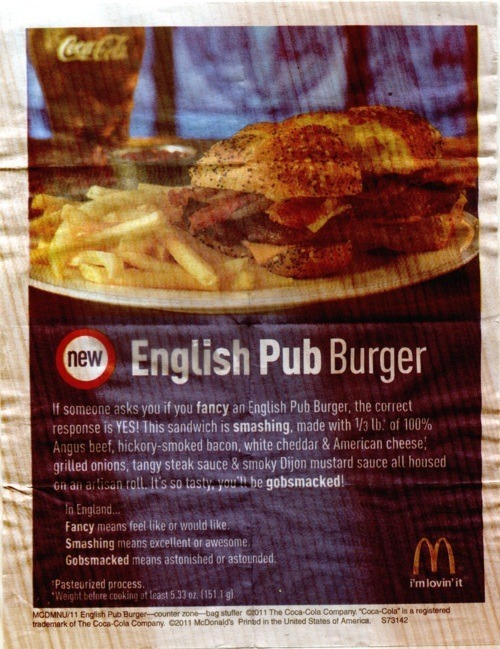 The McDonald's English Pub Burger was first spotted in Algonquin, Illinois by Within the Empier, who provided the photo below. Is this English-themed burger one you'd like to try?